The Price Pfister shower faucet has what is called a ceramic disc cartridge inside the handle that controls the water flow rates and temperature. It's a simple design that offers flexibility, too. Many problems with your faucet are easily repaired by replacing this cartridge. Luckily for do-it-yourself homeowners, the cartridge replacement does not require a plumber or contractor. It only takes about a half hour to complete the job, and you only need a few tools. 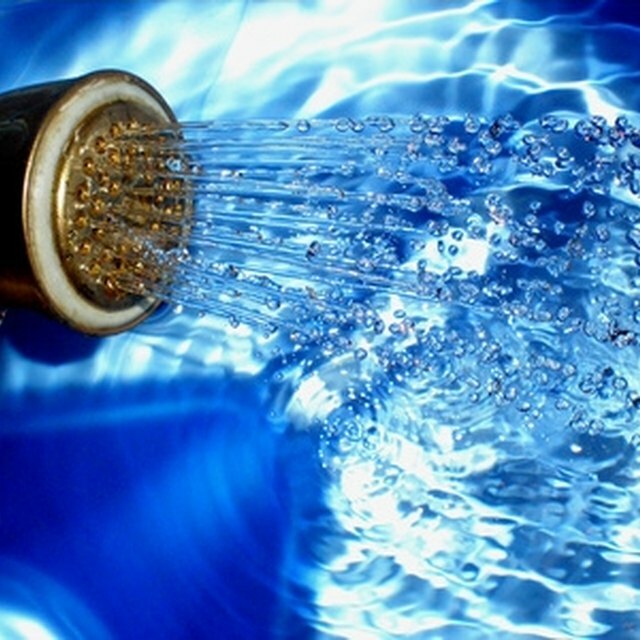 Turn off your water by closing the home waterlines, which are located near your water heater. Take off the handle to the shower. Remove the screw under the faucet handle with an Allen wrench and slide the entire handle off. Unscrew the retainer sleeve by rotating it counterclockwise by hand or with a pair of channel lock pliers if the piece is stubborn and will not rotate otherwise. Remove the trim sleeve and gasket. Take off the back plate, which is the round piece of trim on your shower wall. Pull the cartridge out of the faucet and replace it with a new one designed to match the exact model of the Price Pfister faucet that you own. Replace the trim plate, gasket and trim sleeve. Hand tighten the trim sleeve until it is securely in place. Slide the handle onto the stem of the cartridge. Make sure to position it so the handle's mount hole lines up with the stem. Thread and tighten the screw under the handle.